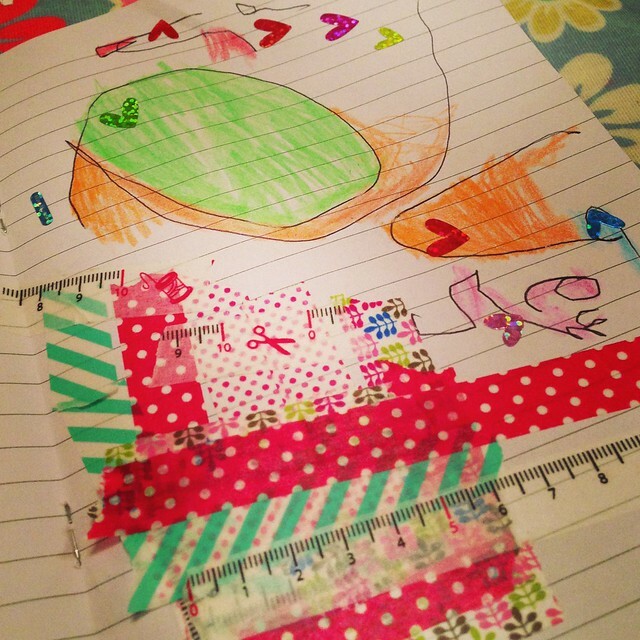 Little Miss recently discovered my very small stash of 'washi tape' - and decided to use it to create a picture (below). Several people saw it and asked what the tape was and what it should 'really' be used for. As someone who visits lots of blogs and has a serious pinterest habit, I've been seeing these colourful strips of craftiness around for some time, but clearly there are many people who haven't so this is a brief introduction. Disclaimer: Read this post and click the links at your own risk. I can not be held responsible if you end up with a new addiction! Washi tape is a type of decorative masking tape which is made from Japanese washi paper and comes in various different patterns and designs. It is a useful crafting tool which can be used to decorate just about anything you can think of, although there is some limitation due to its low-tack nature. The tape is semi-opaque and because it's not too sticky, you can remove it without damaging the things it has adhered to and in my experience it will re-stick once or twice if you need to move it. It doesn't leave any noticeable residue and as long as you are careful when removing it, there is no sign that things were ever stuck. 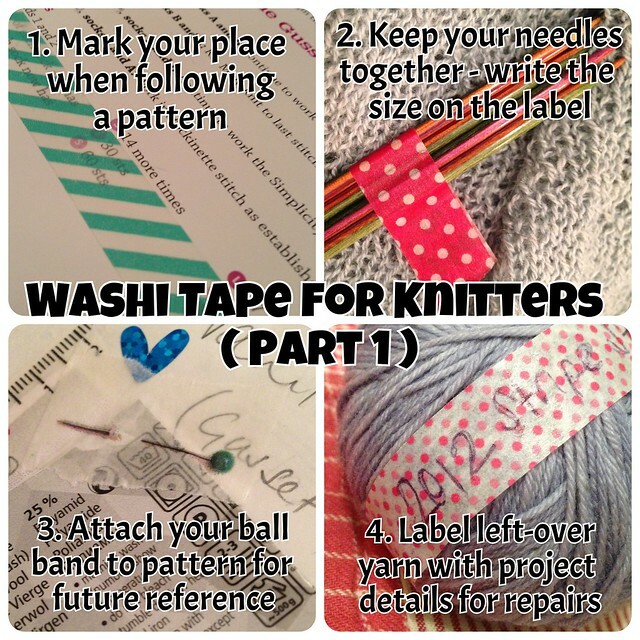 I'd love to hear about any other things that you are using washi tape for - especially if it's related to knitting or crochet. There are sure to be more posts on this in the coming months but in the meantime, I have pinned a whole load of washi tape craft ideas to Pinterest to get you started. Oh, now I'm going to have to buy some, aren't I!! You bad temptress you...I have succumbed! I can't even begin to tell you how happy this post makes me! Knitting is one of the few things that I love even more than washi tape... and now you have got me thinking how to combine the two! I've managed to avoid an addiction to Washi tape so far, but it is really lovely stuff and I'm beginning to think I might succumb soon! Well I only bought some because it's pretty but I am finding it to be incredibly practical! I think a single roll might come in handy in your craft bag...? I'll also have to look into these now! Is the tackiness comparable to the sticky bit of post-it notes then? I had avoided the whole washi tape thing and now look what you have done!! I kept wondering what washi tape was all about. I can see how it would be useful for all my dpn's .. I think I'll put some on my wish list..
We gals love washi tape in this house and are so fortunate to live near Japantown. There is tape that is more permanent but in fun designs. I use it to seal envelopes so I don't have to lick that yucky glue.